As an observer on the ground, it is difficult to fully comprehend the complex and dynamic world we live in. 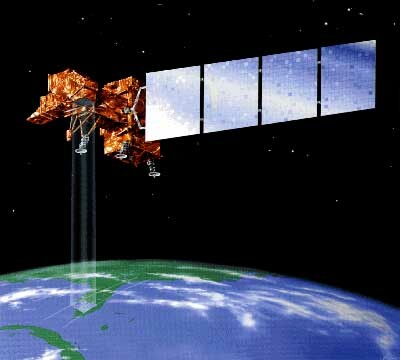 However, satellites afford us a unique outside-looking-in perspective of our planet, which allows us to see large-scale features and changes over time. The data from these "eyes-in-the-sky" enable us to examine both global and local environmental problems and consider and develop solutions that can safeguard Earth and its inhabitants. Module 1 takes an image-based approach to studying Earth. In these first four weeks of the course, you will learn to use tools and techniques for incorporating satellite imagery and data into your classroom teaching. 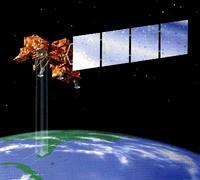 This first week of the course is an introduction to remote sensing and its value for understanding Earth and how it changes over time. You will browse a variety of images and animations created from remote sensed data, explore Earth from the perspective of a NASA satellite using the Eyes on the Earth 3-D simulation, and use NASA NEO to download a satellite image that you can use in your teaching. Without tools designed to measure and analyze remote sensing images, they are often just pretty pictures. We may get a qualitative sense of what's going on, but science requires a quantitative analysis as well. In Week 2, you will be introduced to ImageJ, a public domain image processing program developed by scientists for scientific analysis. You will use some of the tool's basic functions to analyze the impact of drought on Lake Mead. Among the issues related to global climate change are the effects of the thickness and extent of polar sea ice as a habitat for animals in polar regions, as well as the implications to people living in or near these regions. In Week 3, you will learn to create and manipulate image stacks in ImageJ to visualize and analyze changes in the extent of Arctic sea ice over time. In Week 4, you will learn how to use NASA's web-based tool, Giovanni, to access, visualize, and analyze ocean color remote sensing data. You will create a time-averaged data map and a time series animation of chlorophyll-a data from Chesapeake Bay.